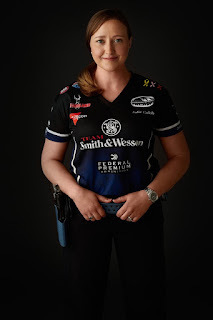 Julie has a long list of accomplishments; Veteran, Mom, Wife, Author, Hunter, Pro Shooter, TV personality, Captain of the Smith & Wesson shooting team, and IPSC World Champion Ladies Classic Division (and probably the nicest shooter on the circuit). I have been honored to meet Julie on several occasions and follow her on FaceBook, Twitter, www.juliegolob.com, and YouTube, JulieG.TV. If this woman has the ability to frown, I’ve never seen it. She is upbeat, generous of spirit and inspiring. I learn so much watching her, but never feel like I’m being taught. She is approachable, funny and most importantly genuine. Julie is truly an inspiration for girls and women everywhere. We’ll probably never rise to her level, but she never makes you feel that way. This is someone I would love to just sit down for coffee with, not that she has time between her competition schedule, writing, blogging, appearances and spending time with two adorable little ones, teaching them early about gun safety. It isn’t possible to watch Julie’s vlog and not smile. She has been nominated for the 2018 NRA Board of Directors. I support her! There comes a time for every shooter to decide do I tell someone that I like to shoot or that I carry a concealed firearm. This is a very personal choice, and can have profound consequences. Just look to media over the past year. 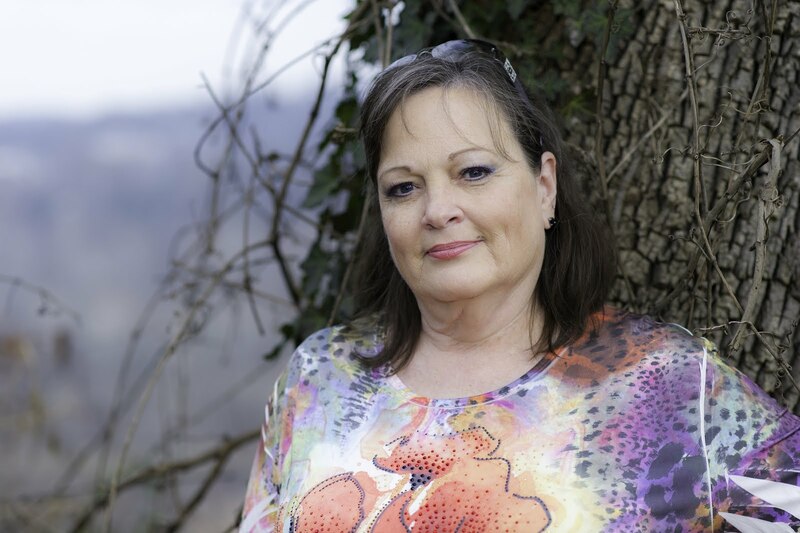 Some very outspoken gun rights advocates have received death threats against themselves and their families. Some have been forced to move after their addresses were published on social media. Oh, that’s not me, I’m not a public figure. Well, that may be, but it doesn’t protect you from bullying behavior from intolerant people. In my experience, most people are ok or neutral, but I’m not walking around telling everyone or being obnoxiously obvious, either. 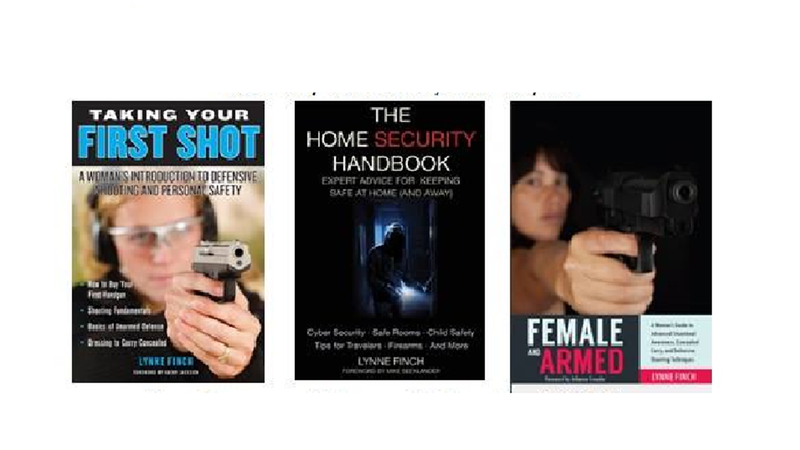 People in my office generally know I shoot, have instructor credentials and have written a few books. I get teased good naturedly at times, people will come for advice. But not everyone is positive. There is a woman who is a rabid anti-gun nut. She states that NO ONE should have a gun, period. She will make statements like this when I’m nearby. She will sometimes pose what seems to be a reasonable question, then turn it around into a rant against shooting. No argument is acceptable; she is against self-defense, hunting and recreational shooting. This is baiting and bullying, I have to ignore her when she starts in. Unfortunately, this is not the first time I’ve experienced this type of reaction, and likely won’t be the last. I had a woman complain that my owning a gun made her feel unsafe. This was in an office, she had never seen it, they were prohibited on the property. She had eavesdropped on a private conversation with another co-worker about a trip to the range. She made a complaint to the company and I nearly lost my job. Most people are fine, but for the irrational or strongly opinionated, some will stop at nothing to make you regret them find out. This reaction gets even more extreme when children are around. 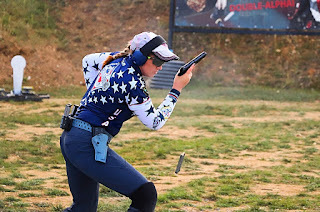 Many people support teaching children gun safety, and families enjoying the shooting sports together. Others see it as child abuse or reckless endangerment. Just look at some states that are requiring foster parents to remove guns from their homes or not be allowed to provide a loving home to kids who need it. There are still youth shooting teams, sometimes in schools, sometimes Scouts or other organizations. But there are parents who would not allow their child to be friendly with another who shoots because they think it is dangerous. In truth, well trained shooters are safer than the child who stumbles upon a gun with no idea how to use it safely. But that is logic, and this is an issue often responded to with emotion, not logic. Some extremes illustrated here but it happens. My policy is to not bring it up unless asked. Little did I know, when I started training hard, teaching and writing over 10 years ago that I would one day be hanging up my Out of Business sign. For many reasons, actually. I’ve endured some major personal issues that really slowed me down and took all my attention, then I got hit with serious health issues that limited my ability to get around. That ended with my not having any money coming in, but too much going out. Not a good business model. So…I’m shutting down. The last straw for me was the cost of the website, which is now down. I may take the time to write more, and as soon as I’m physically able I would like to take some additional training. Right now, I don’t have the endurance to make it through a class and the type of training I want can get physical, I can’t risk additional injury. Looking back, I think of the amazing people I’ve met, and incredible people I’ve worked with, and just the sheer joy of watching the smile spread across the face of a scared new shooter who just realized how amazing this can be. I’ve had some incredible opportunities, traveling to Shot Show, getting encouragement from so many very special people that I admire and respect. I can’t think of a single time that I wasn’t happy teaching. So much happening. Riots, attempts to rewrite history, natural disasters…Who is safe? No one. At any moment you could become the target of an attack. One reporter was attacked on the edge of a rally because of his polo shirt, and you know, Nazis wear polo shirts. WTF? The truth is, there are bad people out there who want to hurt you. All you can do is be aware, walk away when you see a crowd. By-standers are now targets at these protests. Anyone is fair game. Don’t let yourself get caught up and drawn in. That said, it isn’t all bad. There are heartwarming images coming out of Texas of people who do not have to risk their lives stepping in to rescue strangers and animals from the flood. Rescuer and victim come in all shapes, sizes and races. No one is asking gender preference. They are simply being decent Americans, helping those who need help. Bless them all. What does all this mean? Be responsible, look out for yourself, but look out for your neighbor. You never know when you might be the one who needs to be rescued. Don’t get caught up in the hype about protests and statues. We are still Americans. As long as we remember and respect our history we can work together. This is the greatest country on earth. We may not be friends, but we are Americans and that means a lot.